Watching Laura Graves lead her 10th grade Honors English class, I am reminded of a book I read titled Choice Words, by Peter H. Johnston. In his book Johnston discusses the vital role language plays in the classroom. Additionally, he claims that for teachers “talk is the central tool of their trade. With it they mediate children’s activity and experience, and help them make sense of learning, literacy, life, and themselves.” Throughout Laura’s lesson I watched her guide her students through more than just an exercise to master a standard. She designed an activity that was engaging, that piqued their intellectual curiosities, and that allowed for creativity. Additionally, the way in which she speaks to her students invites them to safely take risks with their writing. First, Laura’s lesson focused a great deal on structured choice. 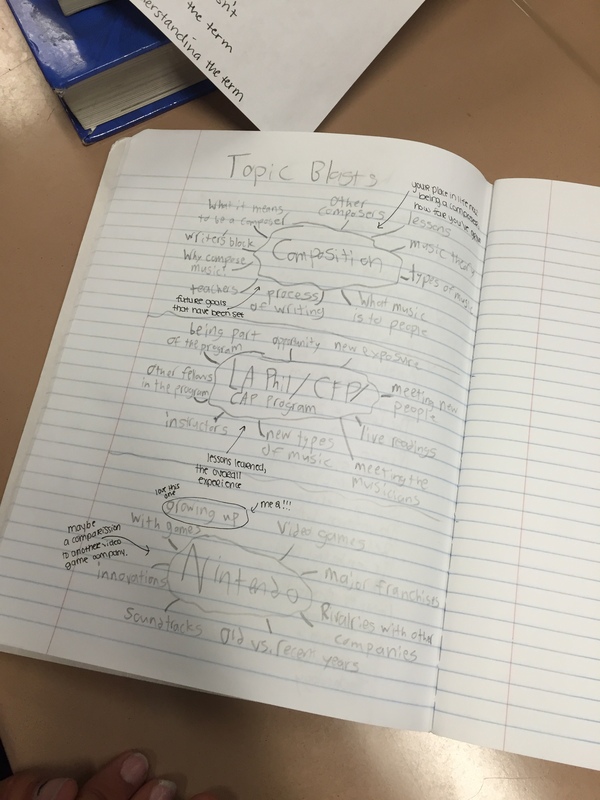 Allowing students topic choice validates their interests and creates a meaningful learning experience. Johnston writes, “No learner can afford to be dependent on the teacher for everything that needs to be noticed. Teachers have to teach children to look for possibilities.” Laura does just that throughout the lesson, allowing for multiple opportunities for feedback, for talking, for thinking, and for sharing. Each student has a Writer’s Notebook. 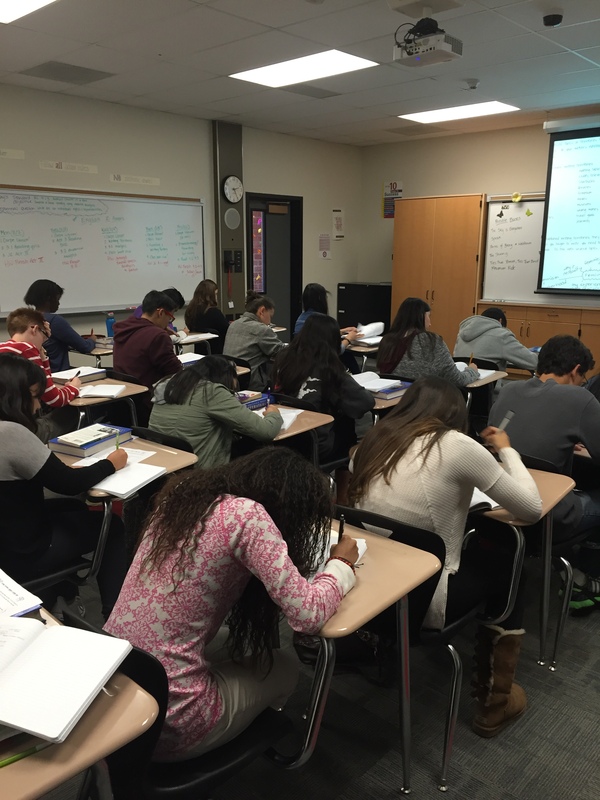 The notebook provides a place for students to practice writing in a non-threatening way. 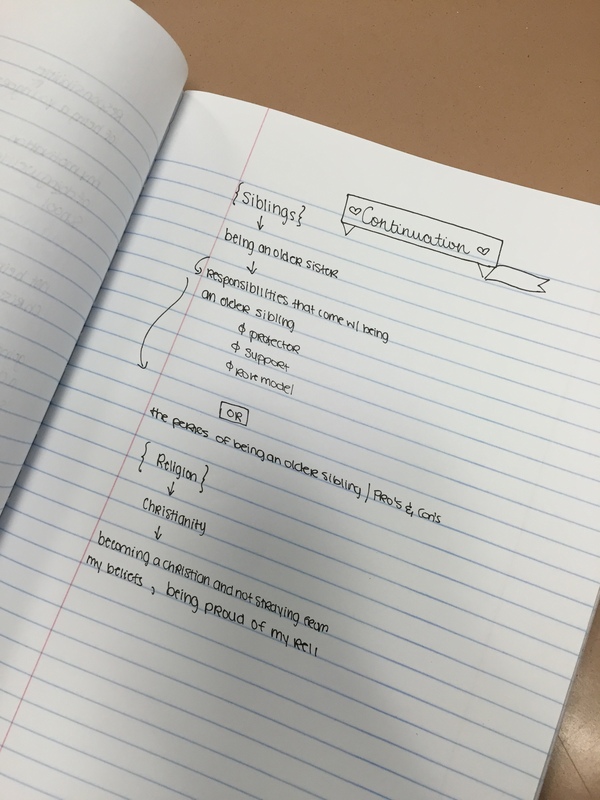 In the notebooks they play with language, experiment with ideas, and express themselves. 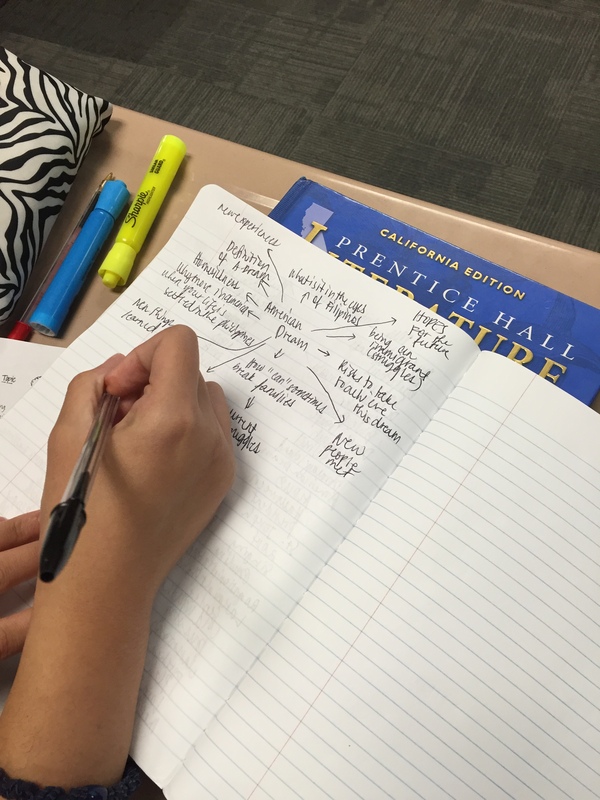 For this activity Laura focuses on Writing Standard 1 as she prepares them for an argument essay. 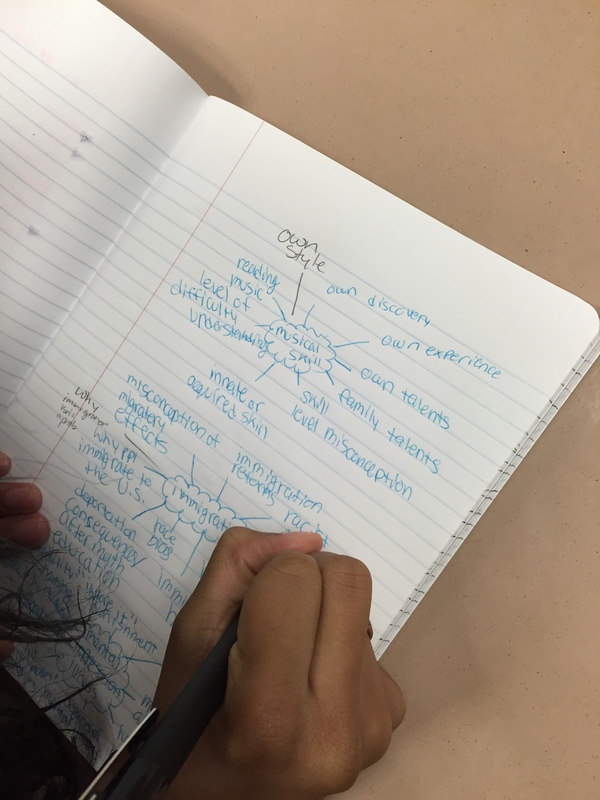 The students brainstorm their own “Writing Territories,” noting possible topics. As the students write, so does Laura. 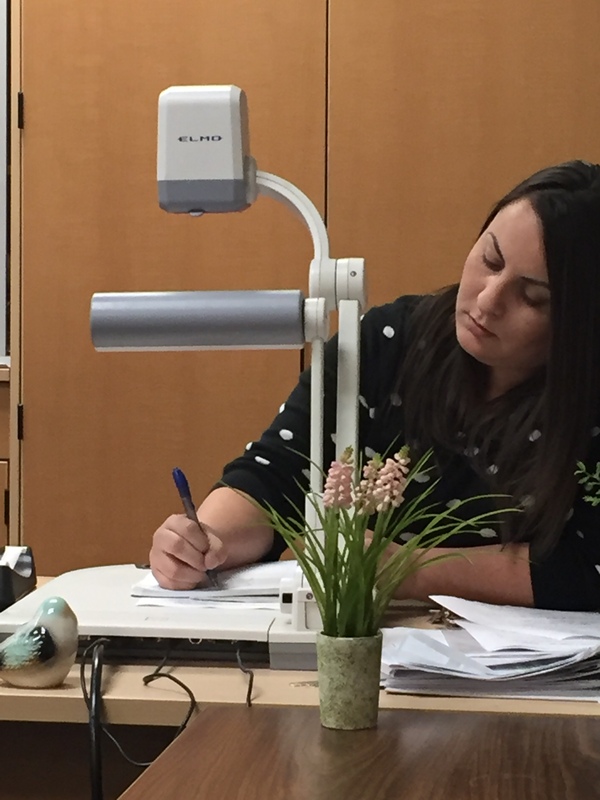 She writes in front of her students on Elmo so that they see her process, and often struggle, to come up with ideas. They see what a writer looks like in this moment and realize that writing isn’t easy…it’s a process. Next, they complete a “topic blast” on several of their ideas. They switch notebooks and give feedback or add ideas for classmates. This step allows them to share in a safe way and have their ideas expanded upon. 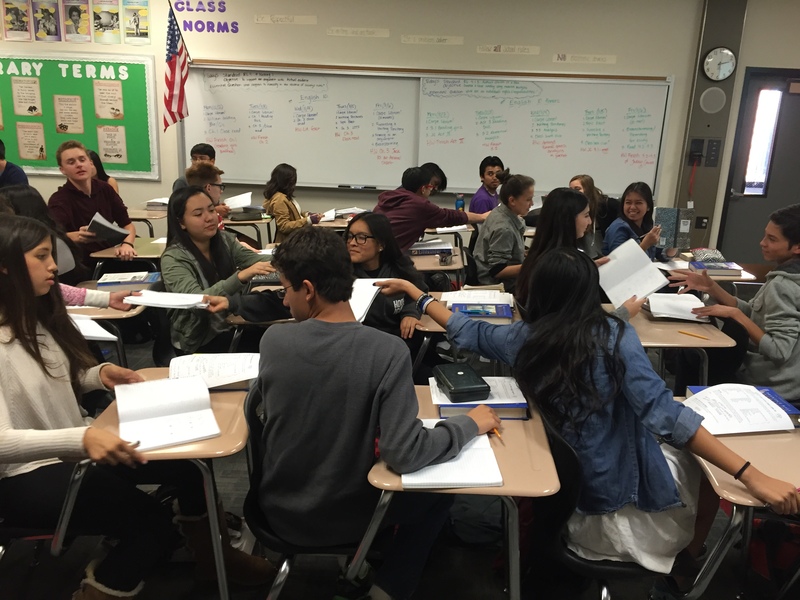 After they share and discuss a few minutes, they “Write Smaller,” narrowing their topics from broad ideas to more specific ones. Once she models the task for students, Laura tells them, “I believe in you. You can do this.” These words, like a magic spell being cast, provide the extra motivation the students need and I witness them all working with a quiet energy. Finally, they began to frame their arguments and consider both sides. She models and ends by asking, “What questions do you have?” Notice the difference between, “Do you have questions?” and “What questions do you have?” The second is asked as though questions are an expectation. Laura’s language is an invitation. Observing the way we speak to and engage our students can help cultivate a positive culture in our classrooms. We want students to feel comfortable enough to ask questions and know that we will help them work through any confusion, just as Laura has. 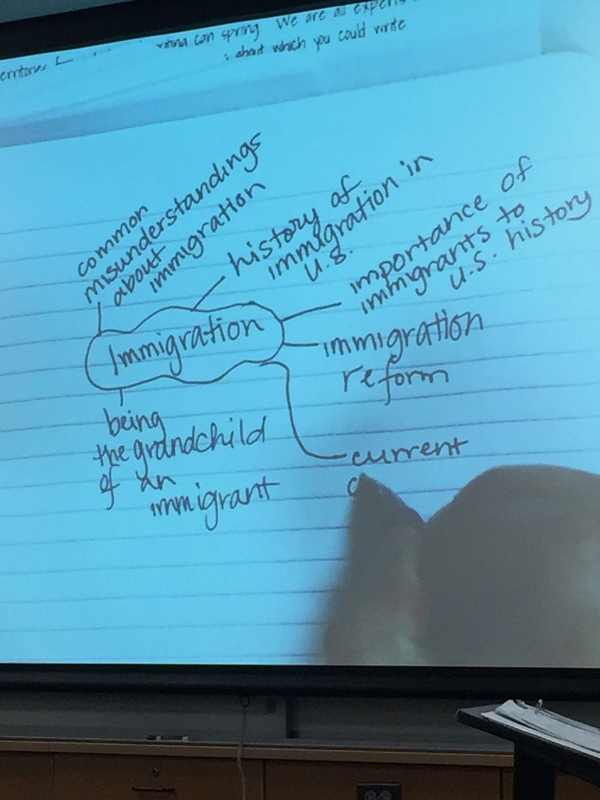 At the end of the period she has the students go around the room and one by one call out their topic choices framed as arguments. Students were able to hear 35 topics that day. After the lesson I realized that through the activities, the sharing, and the “choice words”–a community of writers was born. Thank you for inviting me in to witness such an inspiring moment in your classroom, Laura! Next The Best Teacher Gift? A Break!